Delores Ruffles is Affordable, Honest, Reliable, Courteous. Hello! I am Delores West. I have been making Ruffled Country Style Curtains since 1987. My Ruffled Curtains have been shown at many shows throughout the years. Delores' Ruffles originated in McMinnville, Tennessee, my home town. Because of requests from customers, I have decided to put my line of custom made Country Style Curtains on the Internet so that people who want that Country, Victorian or French look can find them here. We make the Ruffled Country Style Curtains, & Ruffled Priscilla Curtains of the past, with a millennium style added to them. The quality and style of our Custom Ruffled Curtains & Ruffled Widow Valances will fit in whatever type of home you have. For those who decorate with an antique look, and who want a taste of the past, our Country Style Curtains & Ruffled Priscilla Curtains can give your home the antique feel without you having to pay the antique price. Our Ruffled Curtains & Priscilla Curtains also give a more modern look for newer homes and furnishings and styles of today. We are praised most for the quality of our Country Ruffled Curtains. One pair of full length Ruffled Country Style Curtains & Ruffled Priscilla Curtains have at least 22 yards of material in them, and the ruffles have a ratio of 4 to 1. Our customers keep coming back whenever they want a change because they can depend on Delores' Ruffles unique quality Ruffled Country Style Curtains. 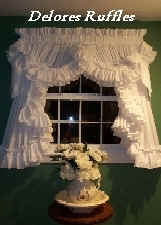 All of our Country Ruffled Curtains have double ruffles with Tiebacks and Bows included. We also make Ruffled Shower Curtain, Ruffled Swag Curtains, Tailored Valances completely lined and corded as well as Quilted Bedspreads, Ruffled Pillow Shams, Bed Ruffles, Dust Ruffles & Ruffled Table Cloths. 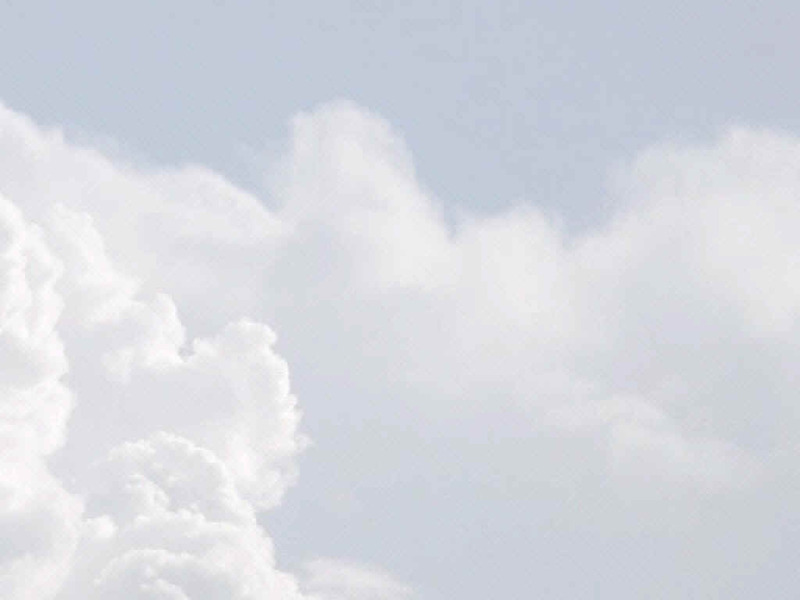 Everything we make is machine washable. 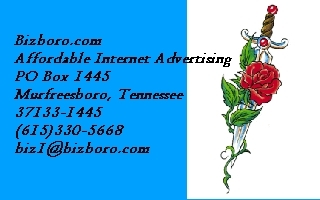 We are located in Murfreesboro, Tennessee, just southeast of Nashville.